Utah has passed an historic bill. The bill, signed by Utah Governor Gary Herbert, lowers the maximum blood alcohol concentration (BAC) limit to 0.05 percent. This is the lowest BAC limit in the United States, which makes Utah the official carrier of the strictest state on drunken driving. Lowering this limit was extremely controversial, but it begs the question if that same limitation will spread to other states. After all, drastic moves such as this are designed to stop drunken driving incidents, and hopefully lower people’s assumptions that they can drive safely after a few drinks. Public health experts around the country have been pushing legislators for some time to lower the limit. 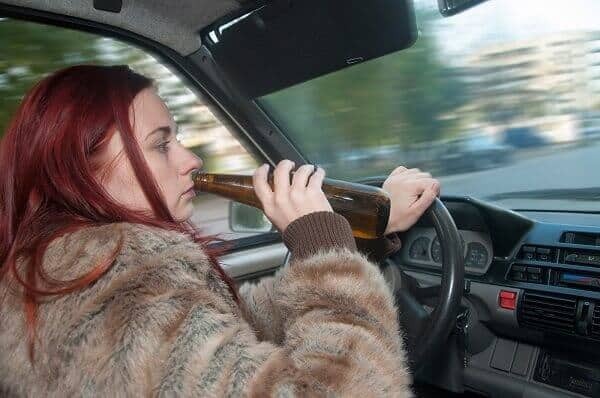 In fact, the National Transportation Safety Board (NTSB) recommended that all states drop the BAC down to 0.05 percent to deter drinking and driving. Right now, there are no talks of lowering the BAC limit in Colorado, but that is not to say there won’t be in the future. After all, the NTSB also suggests dropping it for all states, and it has remained on the NTSB’s Most Wanted List of Top 10 Recommendations – designed to improve safety on the roads. Most of the recommendations in the 2016 edition focused on truck driver alcohol and drug abuse, drunk driving, and more. The NTSB has continually requested a lower BAC for the country; therefore, this year’s report was not a surprise. Most restaurant associations, including those in Utah, profoundly disagree with lowering the BAC. After all, the average 180-pound male could drink one beer and quickly peak in the 0.05 BAC limit. What Are the Current BAC Limits for Colorado? As a driver, it is imperative that you do not drink and drive. If you feel you are too intoxicated, you should always call a cab or find other means of transportation. Colorado’s BAC limit is 0.08 percent for drivers of 21 years and older. The limit for drivers under 21 years is 0.02 percent. However, Colorado does have the DWAI threshold, which is as low as Utah’s, at 0.05 percent. Therefore, you could technically be arrested and charged with a DWAI in the state already, even if you are under 0.05 percent. If you are detained and accused of a DUI or DWAI in Colorado, you will have administrative and criminal penalties to worry about. The administrative penalties include an automatic driver’s license suspension – whether you are convicted or not. For your first DWAI, you will have eight points applied to your license. Then, up to 180 days in jail, 48 hours of community service, and a fine of up to $500. For a DUI’s first offense, you will have a license revocation for nine months, fines up to $1,000, and up to one year in jail plus 96 hours of community service. The laws for drunk driving are overly harsh, and sobriety tests are notoriously incorrect. Therefore, if you have been arrested for a DUI or DWAI in Colorado, contact a criminal defense lawyer immediately. Christian A. Schwaner, P.C. can assist you with your case. Call him today for a no-obligation consultation at 719-577-9700 or ask him a question online.